The holidays may be over, but that doesn’t mean entertaining guests is. There are bound to be many more fun dinner parties, holiday parties, and events that you are invited to throughout the coming year. Generally, guests take along a bottle of wine for the host or hostess as an appreciation for the invitation, but if you want to give them something a little more memorable, then we’ve got just the thing. 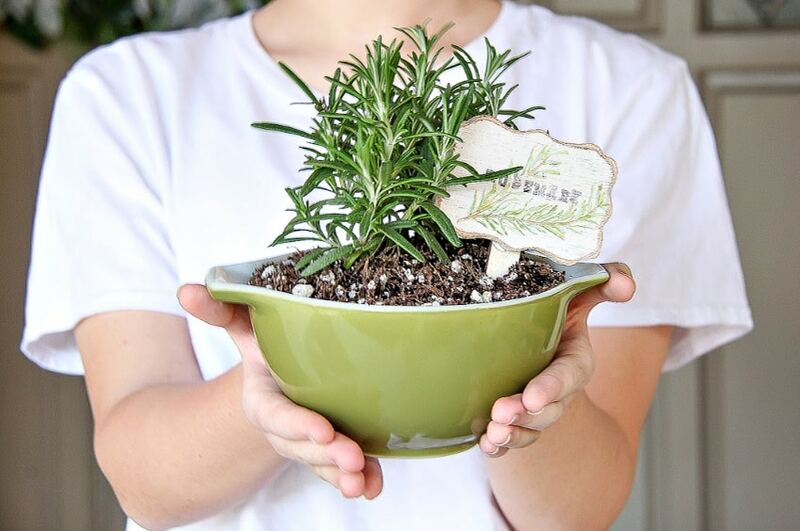 This DIY herb planter using everyday household items makes for the perfect gift idea. 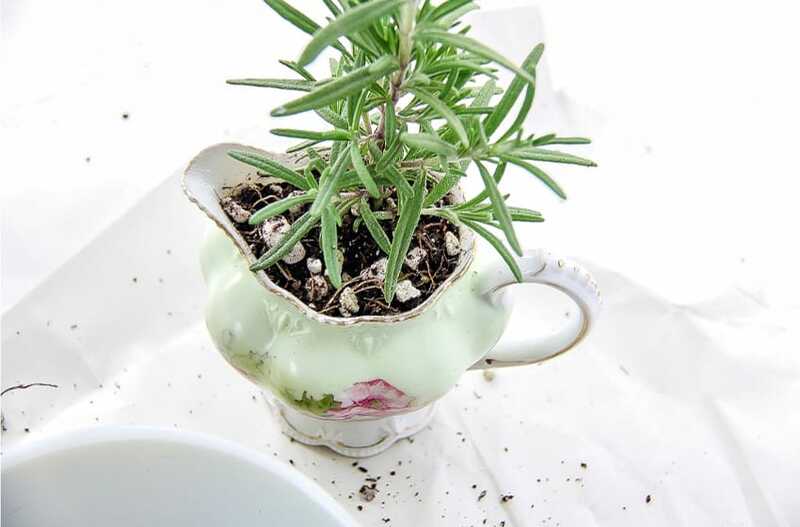 You could, of course, fill vintage tea cups, milk jugs, or Pyrex dishes with succulents, but I prefer fresh herbs. 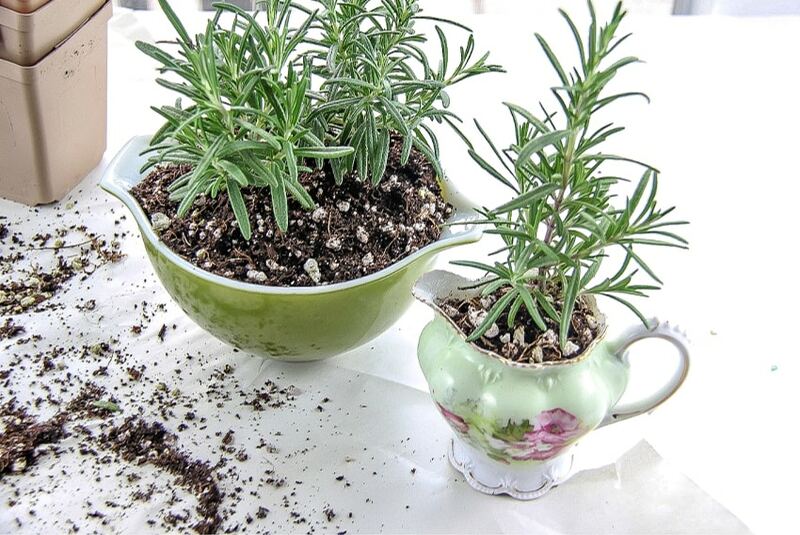 They can easily be transplanted to larger vessels or into the garden, and then the hostess is left with a lovely dish to use afterward … and will think of you each time she snips those herbs to use in delicious homecooked dishes. 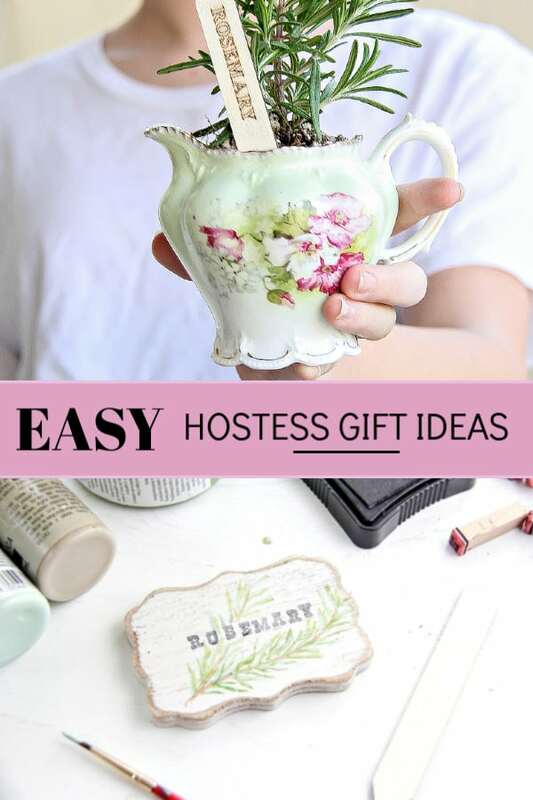 It’s such an easy hostess gift idea – I absolutely love it. Garden markers – I’ll show you below how to make your own too. DIY garden projects are so much fun, aren’t they? 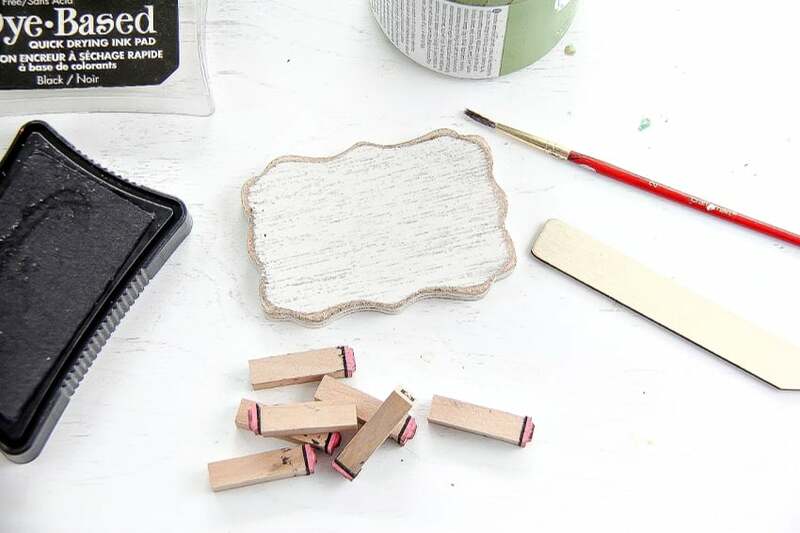 Let’s break down how to make these DIY planters. The first thing you need to do is transplant those herbs into the dish you chose. This is the easy, albeit a little bit messy part of the process. Be mindful when choosing your plants about their size compared to the vessel they are going into. You may be able to fit more than one plant in, or you may need to get a much smaller plant. It all depends on your DIY garden layout. 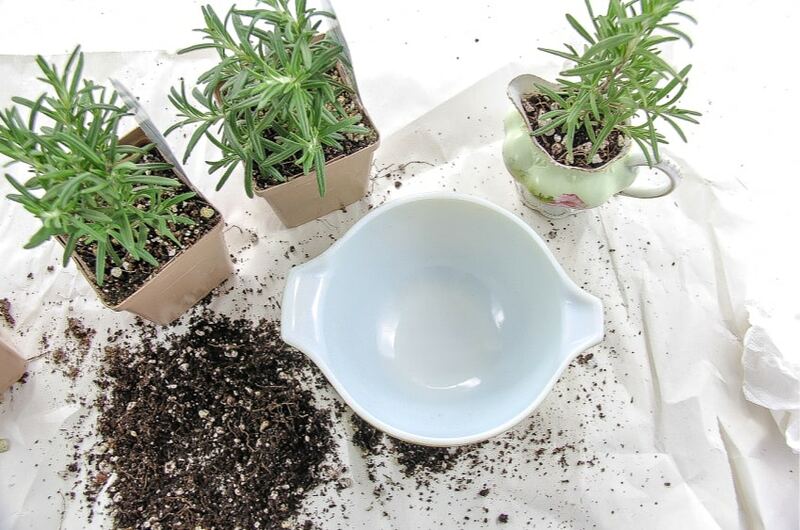 These DIY herb planters can fit just about anywhere – but you know your space best. 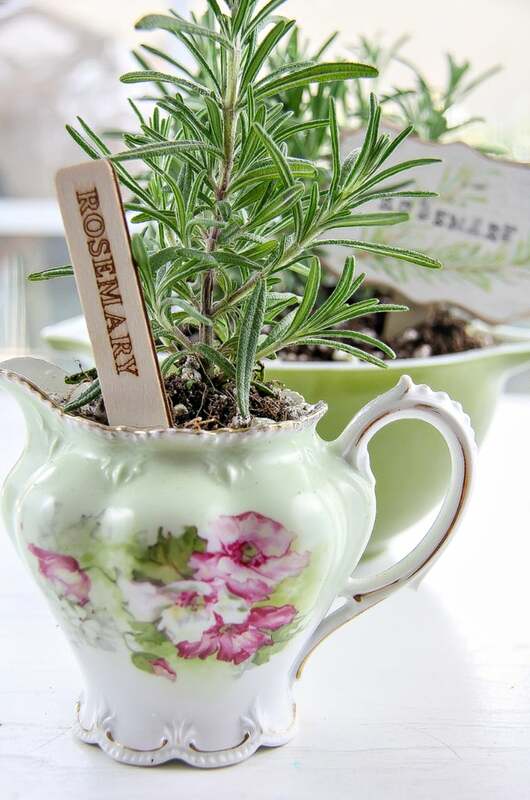 Add a garden marker to your ‘pot’ to indicate the type of herb you are giving your guest. You might choose a store-bought marker, or you can make your own. I think making your own adds that personal touch to your DIY planters. 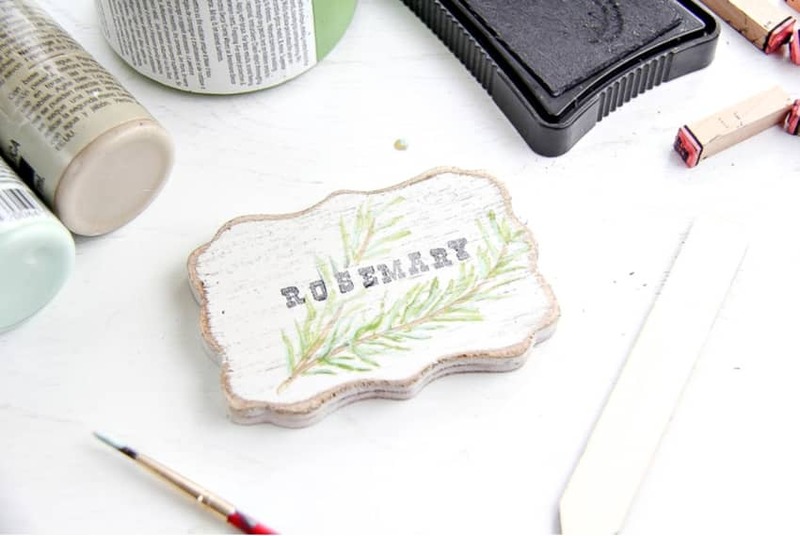 You may simply choose to stamp the variety of herb onto the wood, but if you are feeling crafty, you could also hand paint pictures of the herb onto the wood, as well. Lots of different options! Once your marker is dry, attach a stake to it using glue, and pop it in with your plant. 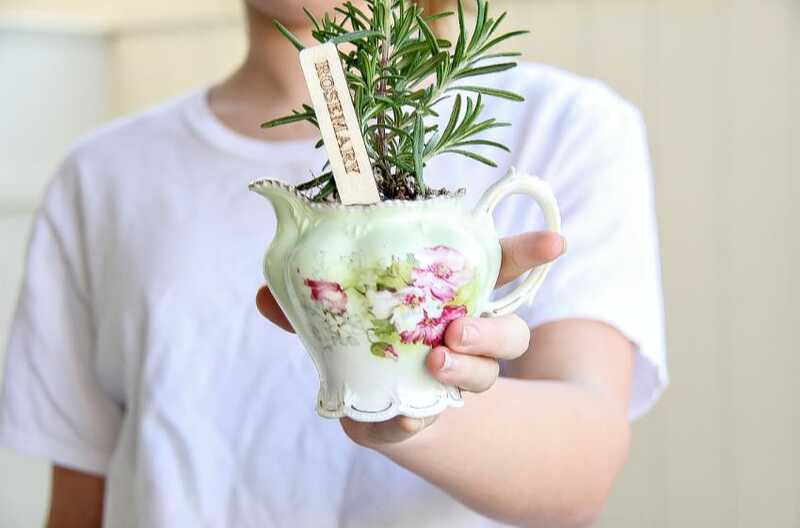 Don’t you just love this DIY garden idea for rosemary?? Want to add a little something extra? If you want to make your hostess gift pop, here’s a thought to consider. How about including a recipe card with your favorite recipe that uses the herb you are gifting as part of your DIY herb garden planter? Simply print out a recipe card, and attach it to the plant marker using twine.